Type 2 diabetes is a global health problem affecting around 414 million adults. The disease usually develops over many years as the body’s ability to metabolise sugar and carbohydrates slowly declines. It is mainly caused by diet and inactivity but genes play an important role. Being overweight is one of the key lifestyle factors linked to a higher risk of developing type 2 diabetes. A modest amount of weight loss combined with exercise and eating well goes a long way to lowering the chances of developing diabetes. Losing weight is easier said than done, so could there be other strategies to reduce diabetes risk that may be more achievable? One such possibility is keeping people’s weight stable so additional weight gain is curtailed later in life. 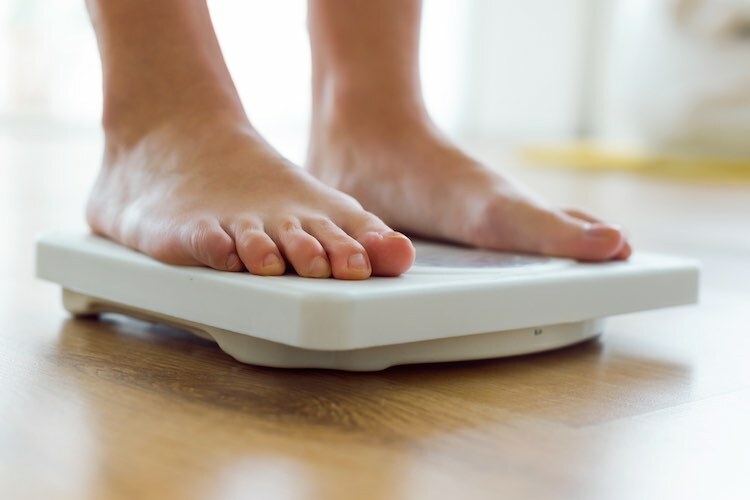 Swedish researchers looked at a group of over 33,000 people aged between 30 and 60 years, analysing the association between how their weight changed over 10 years and risk of developing type 2 diabetes. About a third of people were overweight at the start of the study and 10 percent were considered obese. Over 10 years, just over half of the people gained weight, about a third maintained their weight, and the remainder lost weight. It was the people who gained weight who had the highest chance of developing diabetes. The most surprising discovery, however, was that the risk of developing diabetes was unrelated to a person’s weight at the start of the study - be they at a healthy weight or overweight. While only 10 percent of people lost weight over the 10 years, these people had the lowest risk of diabetes, and this connection was strongest in those who were overweight or obese at the beginning. Taking things one step further, the researchers estimated that if everyone who gained weight had of instead maintained their weight, one in five new diabetes cases could have been prevented. Contrast that with current programs aimed at those with a high risk of diabetes, which only prevented an estimated one in ten cases. This research promotes the benefits of public health initiatives focusing not just on weight loss to prevent diabetes, but also weight maintenance of whatever weight a person is currently at. Considering how difficult most people find it to lose weight, focusing on more a realistic goal of staying healthy at a person’s current weight might be a beneficial strategy. Feldman AL et al. Impact of weight maintenance and loss on diabetes risk and burden: a population-based study in 33,184 participants. BMC Public Health 2017;17:170.